Internet Explorer problems can be caused by a multitude of things, some of which have nothing to do with IE at all. There are two main types of problems: Connectivity and crashes. Connectivity issues can result from removing a computer virus to improper router configuration. Crashes can be caused by third-party add-ons or corrupt IE files. 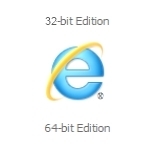 When fixing Internet Explorer problems, you will first need to determine what type of issue you have.